You'll be £10.39 closer to your next £10.00 credit when you purchase The English Civil War. What's this? Have you ever found yourself watching a show or reading a novel and wondering what life was really like in the Civil War? Did the war really split families? Was Charles I just too stupid to be King? Did Cromwell really hate the monarchy and did Parliament actually ban Christmas? 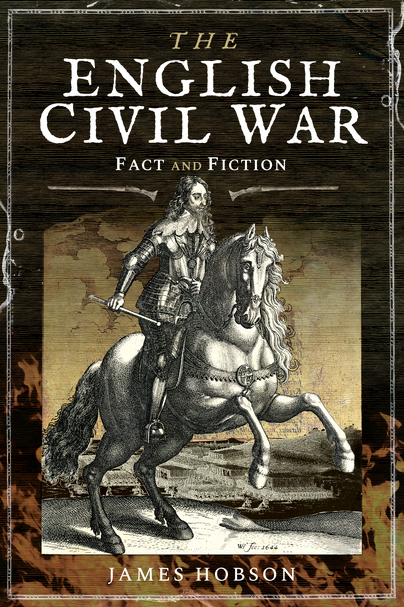 In The English Civil War: In Fact and Fiction, you’ll find fast and fun answers to all your secret questions about this remarkable period of British history. Find out about people’s lives and how the Civil War affected them. Learn about the role of women and if they merely stayed at home and suffered, and if Cromwell really was always miserable. James Hobson brings to life the tumultuous and unprecedented period of history that is known as the Civil War. An unfussy yet accurate history, each chapter presents a controversy in itself and sets about dispelling commonly held myths about the Civil War. James Hobson read History at St Catharine’s College, Cambridge, and has 25 year's experience of teaching and reading about history. Now retired, he researches the social history of his specialist period, Britain c1790-c1837, and runs his successful blog on the Regency “about1816”.